It’s Nearly Showtime! Take a peek behind the Lenfest curtain for 2018-19. The Lenfest season will open with a performance by the DHOAD Gypsies of Rajasthan. This article first appeared in Lexington’s News-Gazette. 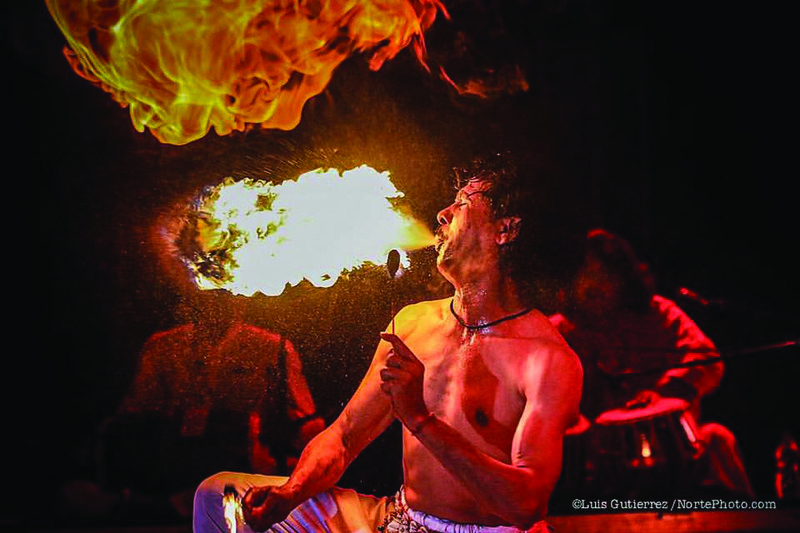 From musical “gypsies” from India and the musical version of “Priscilla Queen of the Desert” to big band sounds and all kinds of art shows, the stages and galleries of the Lenfest Center for the Performing Arts will be alive with varied artists during the coming academic year! The Lenfest Center 2018-2019 calendar of events and brochure can be found in its entirety online and season brochures are available for pick-up at the Lenfest Center box office. Here are some highlights from the coming year. The Lenfest Season opens on Tuesday, Sept.25 at 7:30 p.m. in the Keller Theatre with DHOAD Gypsies of Rajasthan. Direct from Jaipur, India, DHOAD Gypsies of Rajasthan celebrate a repertoire of song, music and dance derived from the tradition of the semi-nomadic traveling musicians of Rajasthan. 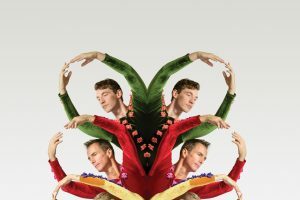 Coming to the Keller Theatre on Thursday, January 10, 2019 at 7:30 p.m.is BODYVOX — an internationally acclaimed contemporary dance company featuring an innovative collaboration of dance with media, music and comedy. The Lenfest Season concludes with actor Julian Sands presenting “A Celebration of Harold Pinteron” Thursday, Jan. 24, 2019 at 7:30 p.m. in Keller Theatre. This humorous and fascinating solo show, directed by John Malkovich, gets to the soul of the man—Harold Pinter—poet, playwright, husband, political activist and Nobel winner. Lenfest events are sponsored in part by the W&L Class of 1964 Arts Fund. Tickets are required for all Lenfest events. Visit wlu.edu/lenfest-center for more information. The Department of Theater, Dance and Film Studies and the Department of Music will initiate the 2018 season with the Robert O. and Elizabeth M. Bentley Musical, “Priscilla Queen of the Desert.” Performances run Oct. 25-27 at 7:30 p.m.with a 2 p.m. matinee on Oct. 28 in Keller Theatre. Based on the smash hit movie, the musical is the heartwarming, uplifting adventure of three friends, Tick, Bernadette and Adam, a glamorous Sydney-based performing trio who agree to take their show to the middle of the Australian outback. Opening Nov. 11-14, at 7:30 p.m. with a 2 p.m. matinee on November 11 in Johnson Theatre is Christopher Durang’s “Vanya and Sonia and Masha and Spike.” Vanya, Sonia and Masha—three siblings—were named after Chekhov’s creations by their theater-loving, academic parents, and in middle age, they are still living up (or down) to their prototypes’ unhappiness. Under the artistic direction of Jenefer Davies, W&L Dancers Create…is dedicated to works performed and composed by students and showcases the diversity and talent within the W&L dance program. Works are presented Dec. 4-6 at 7:30 p.m. in Keller Theatre. Opening the 2019 season is “The Cherry Orchard” (Brustein), Anton Chekhov’s comic masterpiece disguised as a melancholic study of humanity. Performances are March 12-14 at 7:30 p.m., March 16 at 7:30 p.m. and a 2 p.m. matinee on March 17 in Johnson Theatre. Concluding the Theater, Dance and Film Studies’ season is the award-winning W&L Repertory Dance Company. They will present an evening of multifaceted dance works performed and created by internationally renowned choreographers, W&L faculty and guest artists on March 28-March 30 at 7:30 p.m. and a 2 p.m. matinee on March 31 in the Keller Theatre. Tickets are required for all Theater, Dance, and Film Studies’ performances. Visit the department’s website for more information. Concert Guild’s season, featured in Wilson Concert Hall, begins on Saturday, November 10 at 8 p.m. with the Antioch Chamber Ensemble. Celebrating its 20th season, Antioch made its debut at W&L in 2017, presenting a fabulous program of works by 20th- and 21st-century composers. For their return engagement, the ensemble will perform works by Robert Kyr, Morten Lauridsen and Leo Sowerby. Featured on Sunday, March 3, at 8 p.m. will be Danielle Talamantes, soprano. At W&L, she will present a recital of art songs and arias. Featured on Saturday, March 9, is the Imani Winds and Jon Nakamatsu, piano. The wind quintet plays a wide-ranging repertoire from composers such as Felix Mendelssohn, Astor Piazzolla, Wayne Shorter and Igor Stravinsky. Tickets are required for all Concert Guild events. Visit the Lenfest Center website or the Music Department website for more information. SonoKlect’s season, featured in Wilson Concert Hall, opens on Saturday, October 6 at 8 p.m.with Hub New Music Soul House. The W&L program centerpiece features composer Robert Honstein’s piece Soul House [written for Hub New Music], a 35-minute homage to the composer’s childhood home. On Saturday, Feb. 9, 2019, at 8 p.m., Vosbein-Magee Big Band will present “An American in Paris.” W&L music professor and SonoKlect producer Terry Vosbein spent the 2017-18 school year on sabbatical, researching, composing and traveling. The year culminated with two solid months of writing new big band music in Paris. The results of this adventure will be presented by the valley’s leading jazz orchestra. No tickets are required for SonoKlect performances. Visit the Lenfest Center website or the Music Department website for more information. For a complete listing of exhibit openings, lectures and receptions, visit the Lenfest Center website and/or the Staniar Gallery site. Online ticket sales will be available Wednesday, Aug. 29, 2018, at 8 a.m., on a first-come, first-served basis. To place an online order, click on the Buy Tickets Now tab on the Lenfest home page. University Swipe is available to purchase tickets online. Mail-in orders accepted from Aug. 22-Sept. 7. There will be a $3 postage fee per complete order applied to tickets purchased through the mail. The $3 postage fee can be waived by choosing to pick-up tickets at Will Call. The Lenfest Center box office opens for in-person and telephone sales on Monday, Sept. 10, on a first-come, first-served basis. The box office hours are Monday through Friday, 9–11 a.m. and 1-3 p.m., for cash, check or credit card purchases.